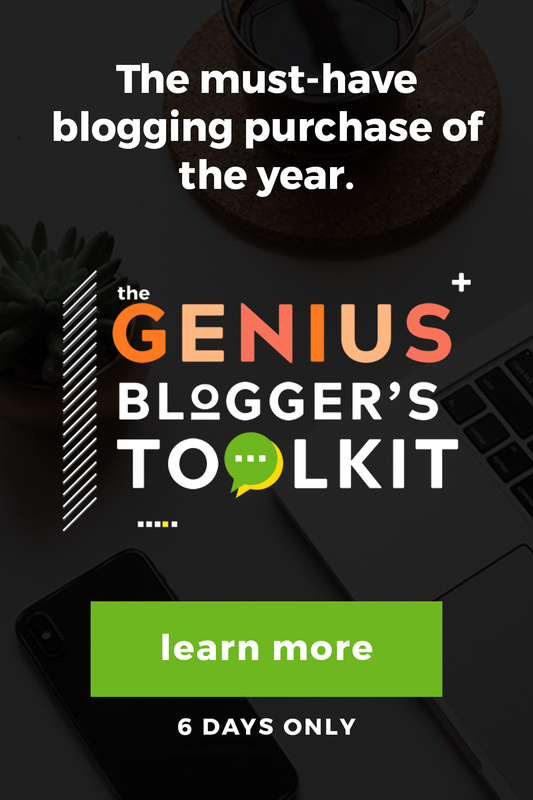 As you may know, The Genius Blogger’s Toolkit is available until midnight on October 15th, 2018. That means that you have to make a pretty quick decision as to whether or not you want it. But I want to help you make a wise decision. If you haven’t read my post, 4-Minute Summary Of The Genius Blogger’s Toolkit , you should in order to get a quick idea of what it entails. 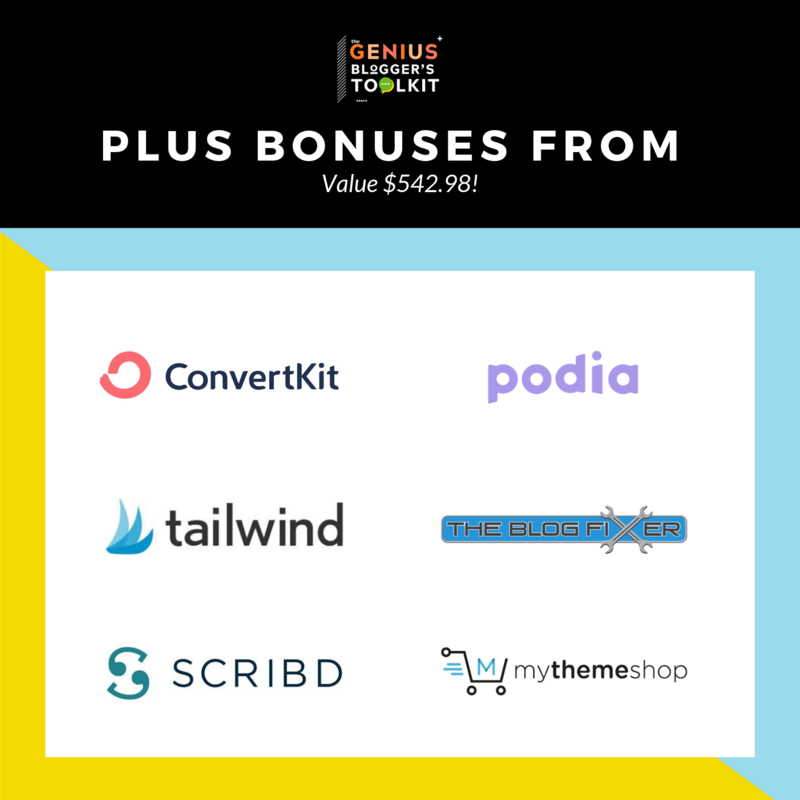 Or you can just head on over to the Genius Blogger’s Toolkit website to jump in the deal. 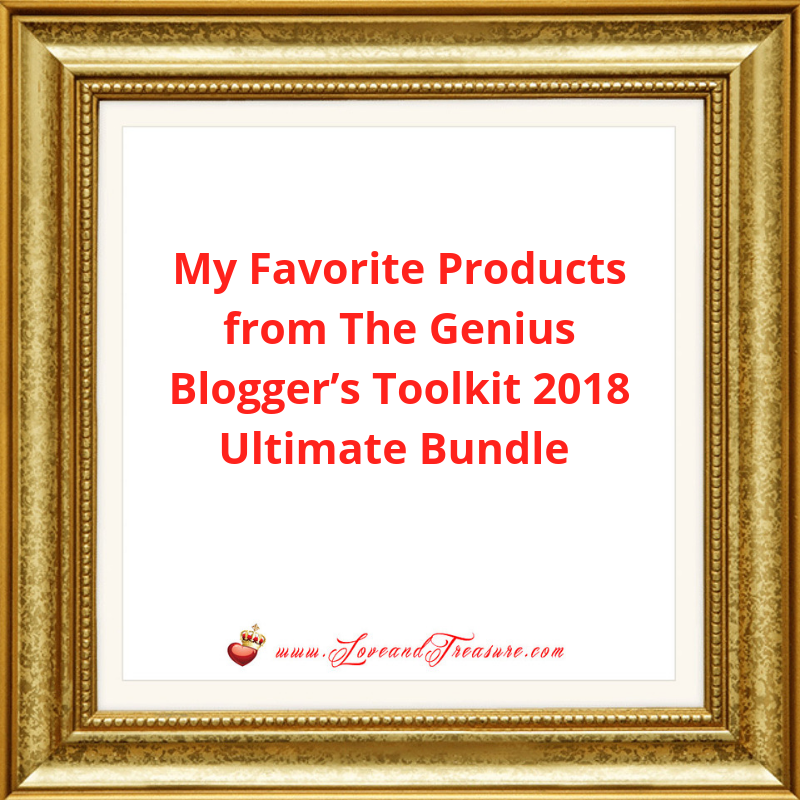 Today, I want to share with you what my favorite products from the Genius Blogger’s Toolkit bundle are. I’m just giving you a handful so that you get an idea, but the vast majority of the products are wonderful, these are just my crème de la crème top-picks. You know those products that make you giddy with joy because they are so DANG beautiful? Well that is what this binder is. It’s not the most expensive product in the bundle, by any stretch of the imagination, BUT WOW! It’s a product that says this bundle was WORTH IT! It’s about quality, not necessarily quantity. And Abby Lawson, from www.abbyorganizes.com makes quality BEAUTIFUL. Practical. And inspiring. 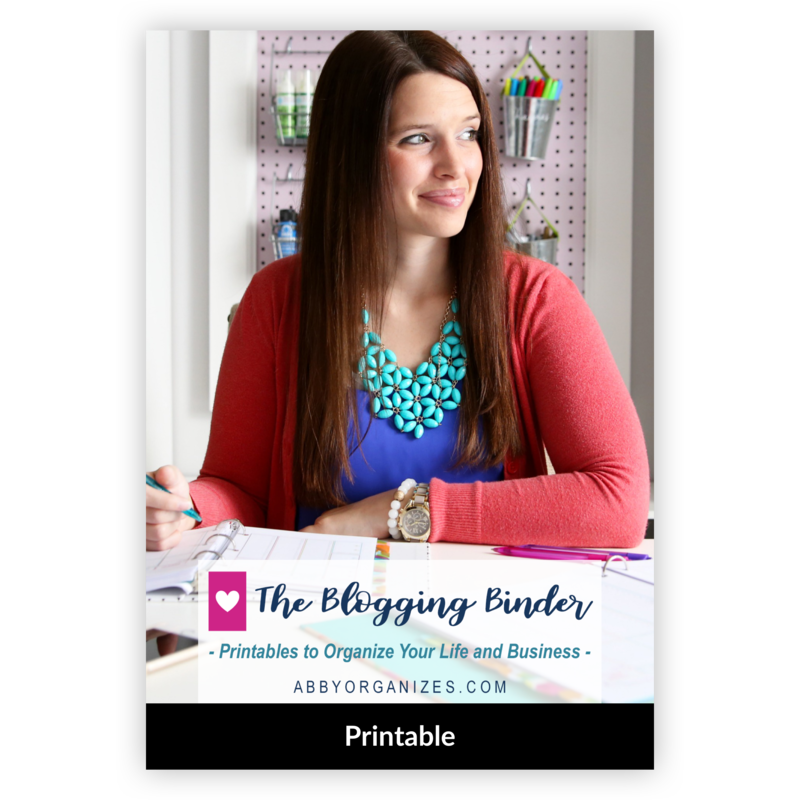 Even if you have a planner that you love already, this Blogging Binder is so beautiful, that I bet it’ll be the first thing you want to print from this binder. And fill out. You’re welcome to handpick the pages you want to print out, but if you’re like me, you’re going to want to print ALL of them. And if you’re worried about the ink you’re “wasting”… no, no, no, no… you’re not wasting ink anymore when you use an Instant Ink compatible printer and get the Instant Ink Service. I bought the HP Envy 5055 on Amazon. It’s simple, but it allows me to print what I want. That beats having a fancy printer and hardly ever printing. It’s a fresh slate to sprinkle all of your creativity like confetti. You’ll love it. I like people who are real, successful and don’t brag about it. My favorite entrepreneurs and people, in general, are those whom I feel I could be friends with, not because of the success they have but the people who they ARE. Someone who meets this expectation PERFECTLY is Allison Lindstrom, whom I follow on YouTube, and who runs the site www.allisonlindstrom.com . I’m also a student of her flagship course. The reason I love Allison so much is because she seems like a friend, a cousin, a neighbor who is simply offering you her insights in a friendly and real way. Even though she’s REAlLY successful, you wouldn’t necessarily pick up on that, but you would KNOW that her advice is solid. And recently, Allison expanded her YouTube channel to also include mom hacks (because she’s a mom of one little boy)… and I LOVED that idea because as she says, when you’re a blogger it’s super hard to compartmentalize you as the blogger and you as the mother. Both worlds coexist. 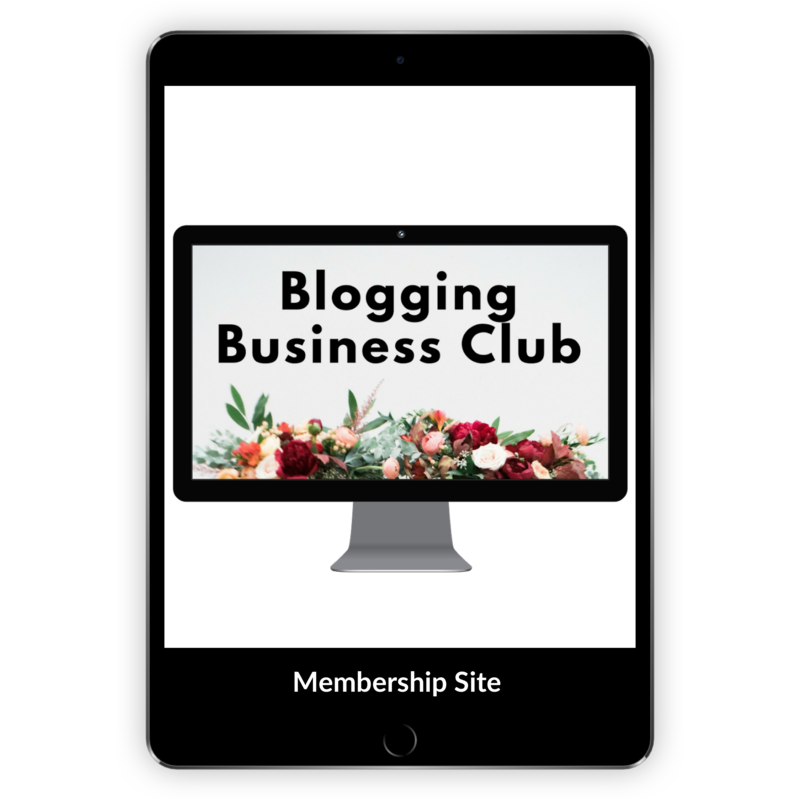 Whenever Allison would mention the Blogging Business Club in one of her YouTube videos, I would secretly wish that I was part of it. And guess what? 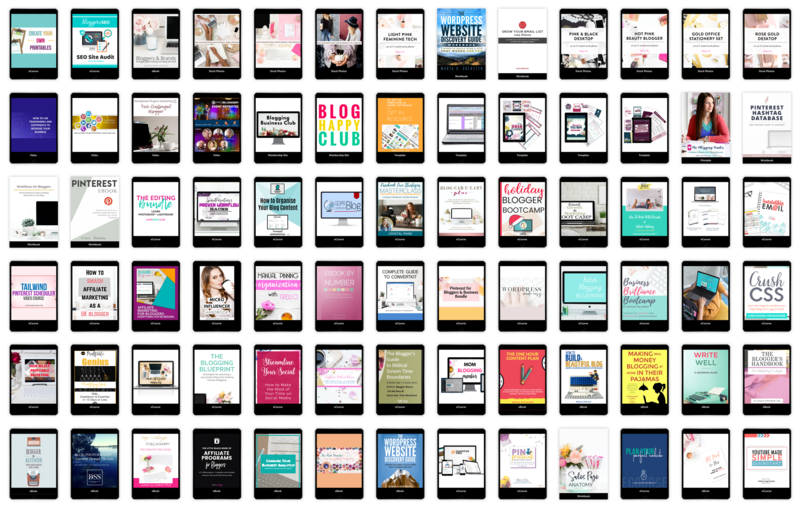 I AM now part of it thanks to this Genius Blogger’s Toolkit because this bundle includes her monthly membership from here until April 2019! EEEEKKKK! 🙂 Isn’t that amazing!? For me, the price of this bundle is worth it based on just this membership. Another one of my favorite entrepreneurs is Suzi Whitford from www.startamomblog.com . She is friendly and generous with her time and abundant knowledge in many different areas. She’s a prolific content creator and a mom of three little ones. And her husband is one of the most supportive entrepreneurial husbands I’ve EVER seen. John, Suzi’s husband, doesn’t know it, but seeing him support Suzi, is almost like a balm to women entrepreneurs, by helping her he helps us appreciate the gentleness, support, investment, sacrifice and willingness to see his wife succeed and that is often more powerful than most TEDTalks out there (and I love TEDTalks, don’t get me wrong). What I mean is that a man helping his wife with technology knots, even after a long shift at work, is applaudable. I was already a student of her course Ebook By Number prior to getting this bundle, but in case you don’t have it, it’s a great course to have. Suzi has a great YouTube channel, Facebook presence and other courses. I recommend you check her online resources out as well as Allison Lindstrom ’s. What’s amazing about Laura is that she is an Excel whiz… but not in a boring kind of way, but rather, in a “she makes Excel come to life” kind of way. 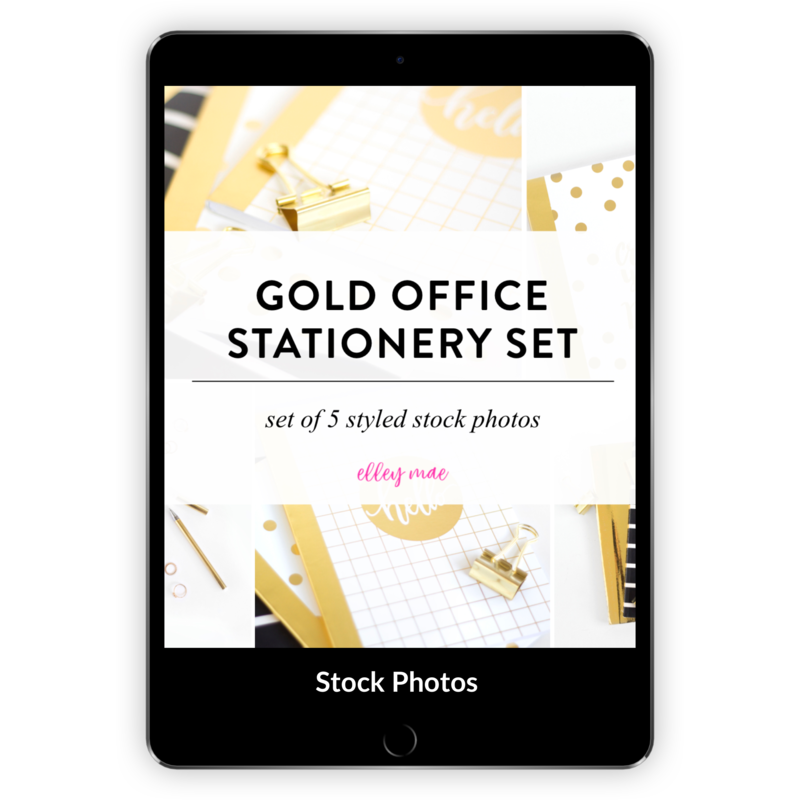 Laura is known for her printables and planners… and has created a TREMENDOUSLY successful business by selling them. So successful you would be surprised like this 😮. You know what the best part about Laura is, though? 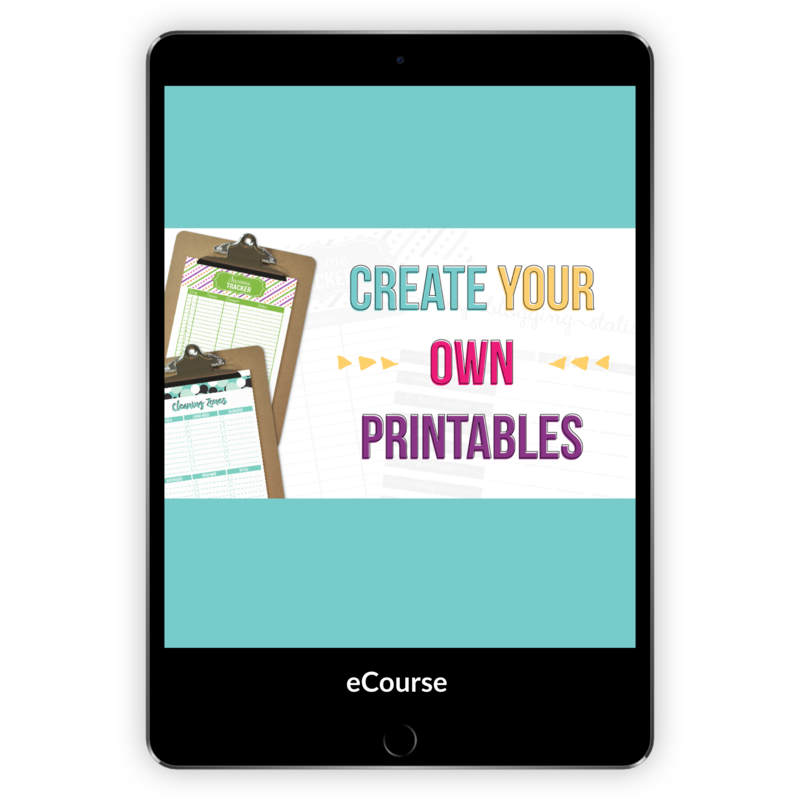 That she is willing to teach YOU to create your OWN printables in this course. We can’t expect that we’ll be super-prolific at creating printables like she is.. but we can try. Her method will work on both Google Sheets or Excel. And, trust me when I say, that this course improves your printable-creating ability more than winging it ever would. So, these photos are pretty. One of the things I most admire in other entrepreneurs is their ability to craft a great sales page. 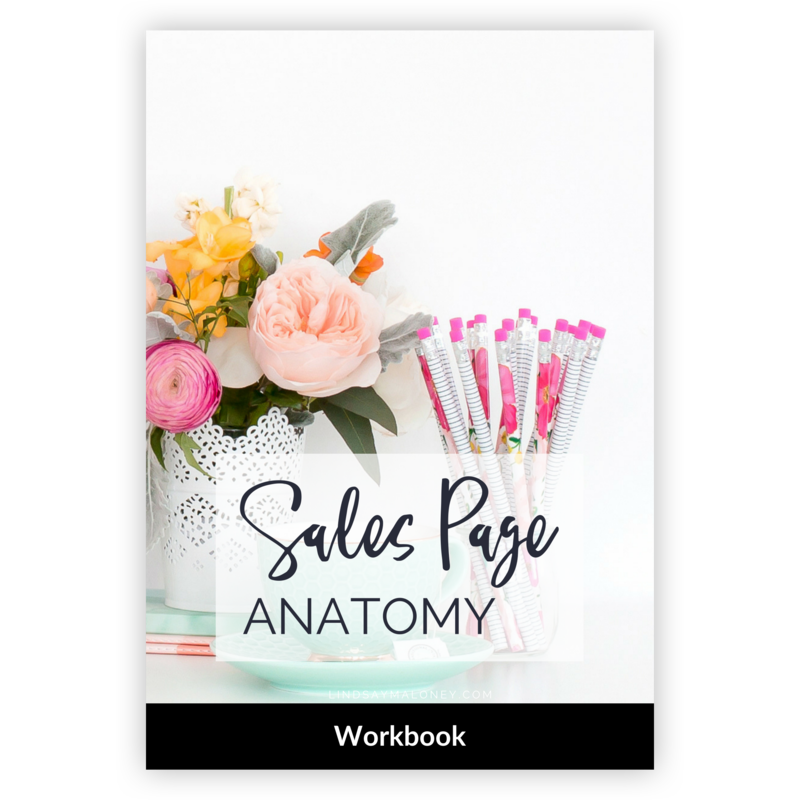 That’s why, one of the products in The Genius Blogger’s Toolkit Bundle which seems very intriguing to me is the “Sales Page Anatomy” workbook. I like that it’s actionable and practical. 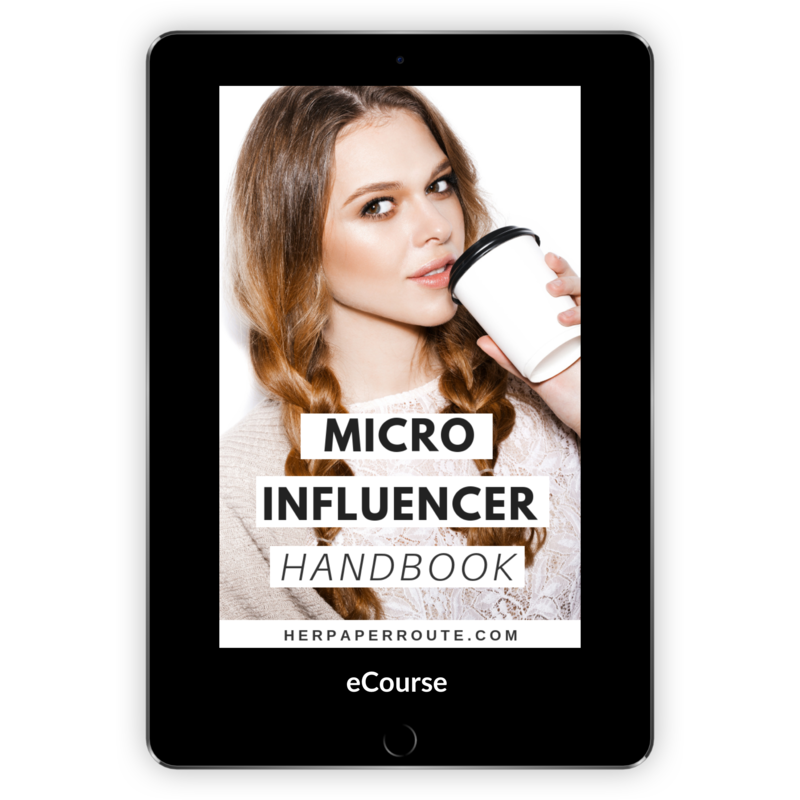 One of the most expensive products in this bundle is the Micro Influencer eCourse by Chelsea from www.paperroute.com . What’s cool about Chelsea is that she actually graduated with a Marketing and Media university degree. So, if you’re reading this, chance are you’re ALREADY a micro-influencer, and you just didn’t know it. And if you aren’t one yet, you’re on the right path to becoming one. So with her handbook, Chelsea teaches you how to create high-converting blogs and social media content in order to position yourself in such a way that brands will be more likely to work with you. This will in turn allow you to monetize your online presence. And while you may or may not want to work with big brands in the future… positioning yourself to have a presence that is attractive to your followers and other influencers is always a good thing. When I grow up, I “retire” and live in a little cabin in the woods, I want to learn CSS. I admire people who know CSS SOOOOO much. It’s one of those skills, like singing, that I wish I had been born with (even though the internet didn’t become popular until a while after I was born). I’m probably looking up to people who know CSS because I’m making it to be much harder than it is. At the same time, I KNOW that there are some CSS BASICS, that regular people like you and I can learn. It’s probably like learning the basics of a foreign language to be able to get by (something that I should have done when I went to Holland, but didn’t— and trust me, it’s not a pretty feeling to not understand a word of their spoken language or be able to read a word of their writing, which is Dutch, by the way). This is according to Google Translate, which I know, isn’t 100% accurate. 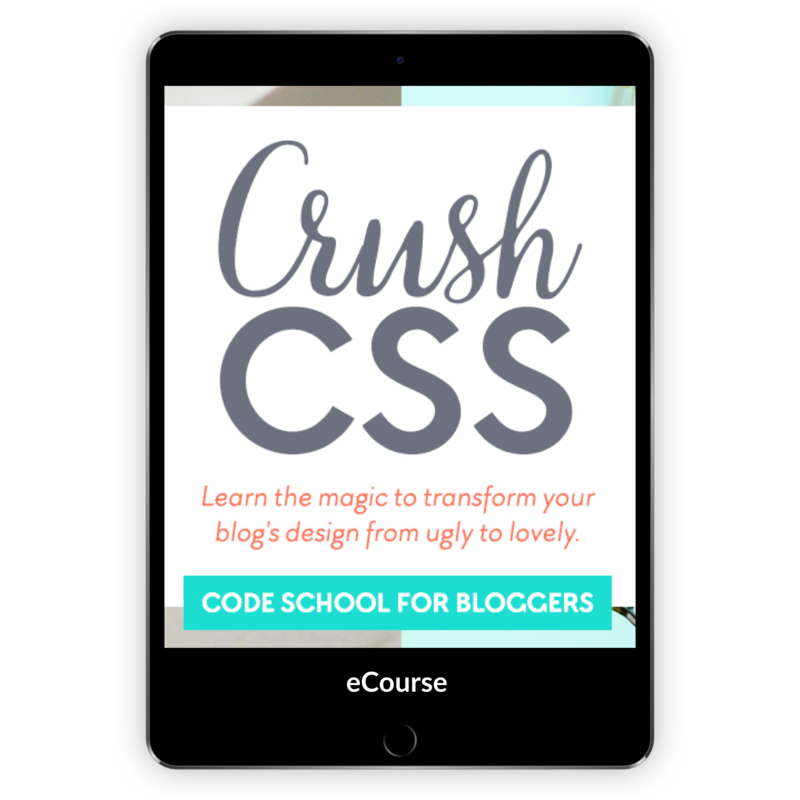 And after all, this course is for bloggers, so Marianne KNOWS to take it a little easy on us. As proof that even some of us bloggers who have been blogging for years haven’t gotten to check off every item on our to-do list, I’m not up to par on my Pinterest game. 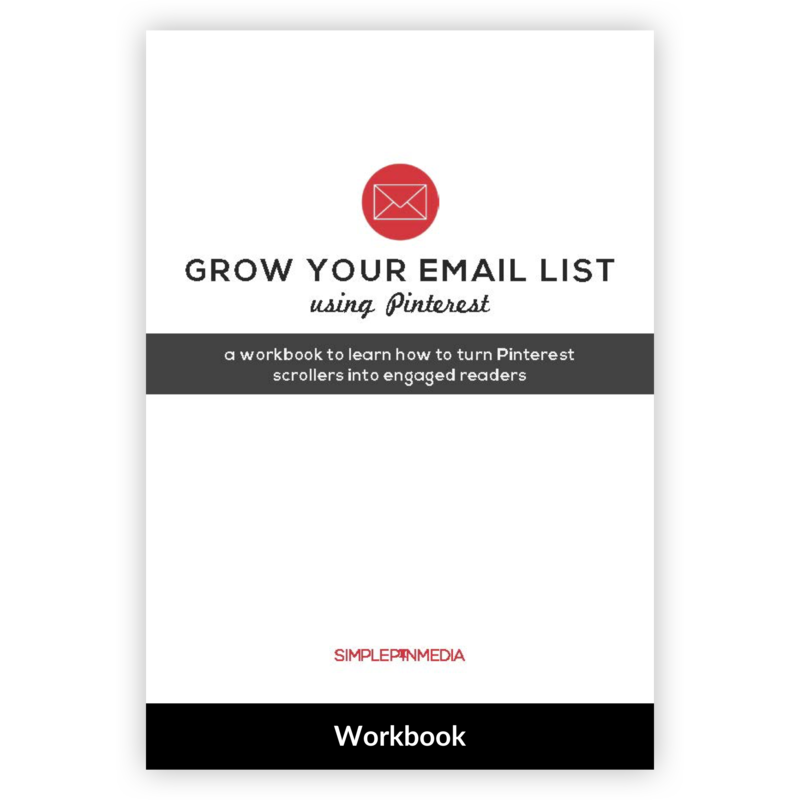 So, I’m extremely happy that this toolkit has several resources for improving our knowledge of Pinterest, including Kate Ahl’s Grow Your Email LIst Using Pinterest. I’m excited to implement her tips and be able to help more people with life, love and mothering in general, but specifically, with my free Breastfeed Your Baby Successfully course and another project I’m working on for you guys. I actually purchased this book one late night while I was perusing Amazon. I love me some Amazon. (I’ve been an Amazon customer for at least 11 years. Seriously). So when I saw “The One Hour Content Plan” because Amazon thought that people that buy or like certain content on Amazon would like this book, I believed Amazon and bought the book. 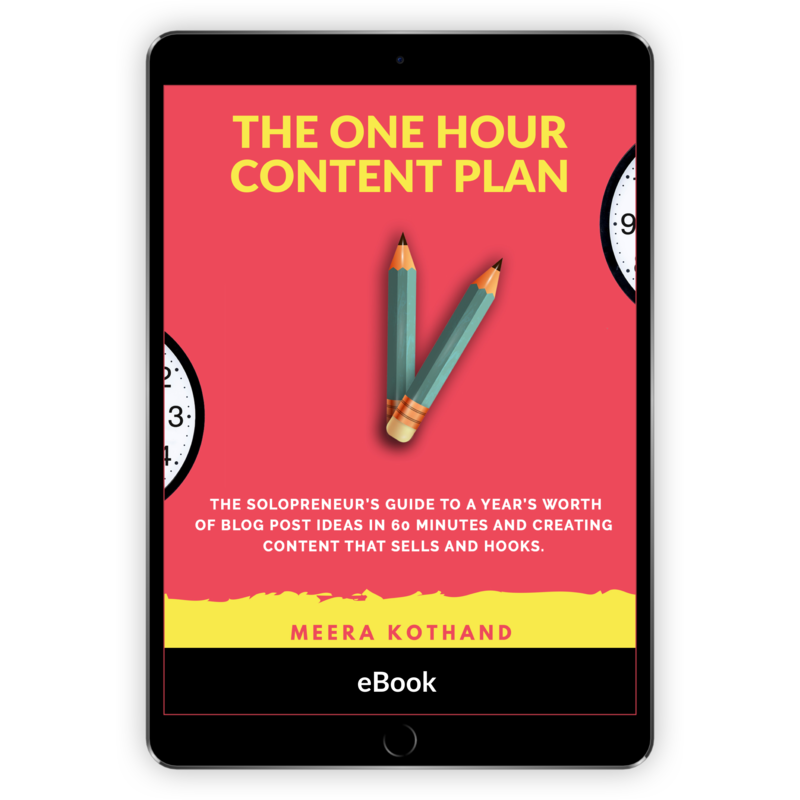 The premise of the book, is that Meera Kothand helps you create a blog post ideas for the entire year in 60 minutes. But it can be done, especially when you have her, a digital marketing strategist teach you. So instead of wasting an hour trying to think about what to write, you can take an hour and have a years-worth of topics. One of my favorite aspects of any of the Ultimate Bundles are the bonuses. Just like you would traditionally 1st look at the reviews on Amazon before buying a product, I first look at the bonuses of a bundle, before deciding to buy the bundle. Because often, if I find that 1, 2, 3, or more bonuses are things that I want to try… I usually find that 1, 2, or 3 of those bonuses actually pays for the whole bundle. Books are my best friends. 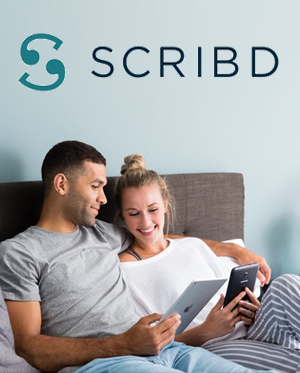 So I love having a service like Scribd, Audible or even the free library app on my phone OverDrive or Libby to borrow free books from my own library. When you purchase this Genius Blogger’s Toolkit bundle, you get 2 months for free (that, right there is a $17.98 value). As I said above, I have to work on my Pinteresting skills. 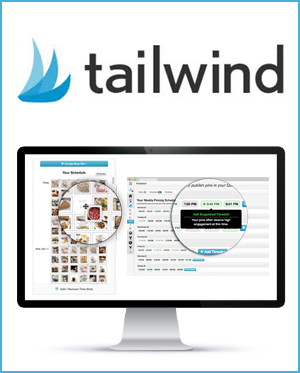 I haven’t tried Tailwind before even though I wanted to. But now I will try it. I was just wishing to update you on this amazing offer so that you, too, can be part of the fun. So if I combine these bonuses plus a few of the courses and ebooks I’ve mentioned, I am totally be getting my money’s worth for this bundle. So see if it makes sense for you. If you get the bundle, just make sure that you sign up for the bonuses soon, as they do expire in about a month from the time of purchase. Remember, this can make a perfect Christmas gift for you or a blog owner you know. It’s never too early to start opening gifts, ebooks ore courses to open up great opportunities for you. I know that this is an investment, but it’s much better to spend $97.00 now for these resources that will help you grow… than spend close to $6,000 later. The bundle is so abundant that recently I was on someone’s site… wishing to have one of their courses, but then I realized that the course was part of a prior bundle that I purchased, and it was great knowing that I didn’t have to plan to get the course, but rather than by being proactive about the bundle in the past, I already had a course I wanted. 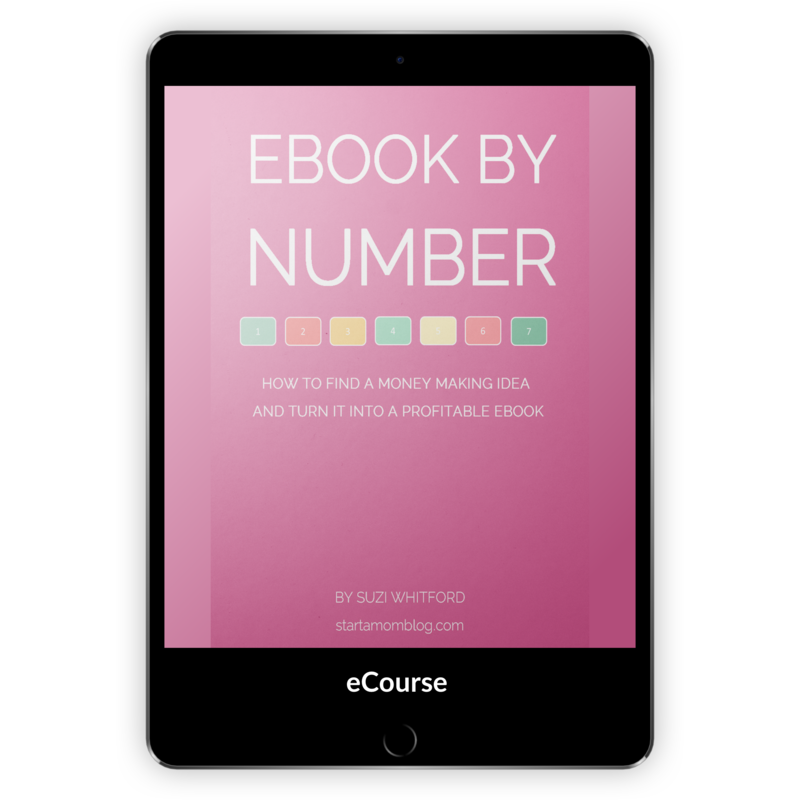 So before you buy a course or ebook in the future, make sure that you check whether or not you’ve purchased it in one of the bundles because you just might be pleasantly surprised. Which of the products that I mentioned was your favorite? And if and when you do buy it (although the clock is literally ticking), come back and let me know which product or products were your favorite(s), that way we can compare notes. Please leave your favorites in the comment below. And keep in mind there are many more courses, resources, ebooks and printable that you can choose from. Check out this sampling and the entire collection by visiting the Genius Blogger’s Toolkit page.